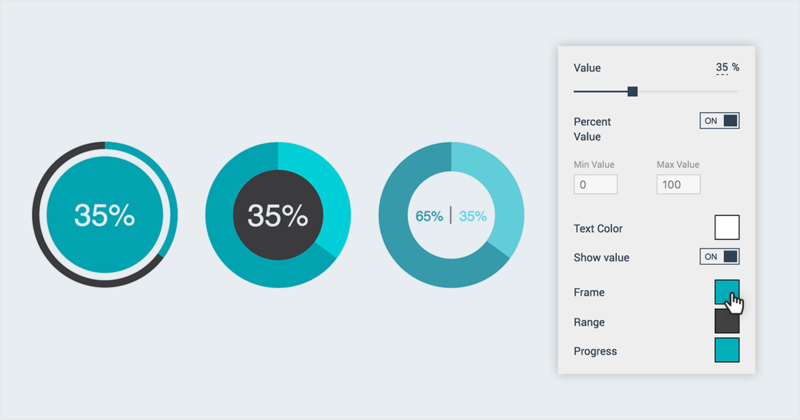 Visme released a set of widgets to help you quickly create statistics and data visually as a part of its mission to empower visual communicators everywhere. In your Visme Editor page, click on Data from the left panel and select any data widget you would like to use. One you have decided, click or drag-and-drop the widget in your canvas. You can choose vertical data widgets or horizontal ones depending on how you want to lay out your information. 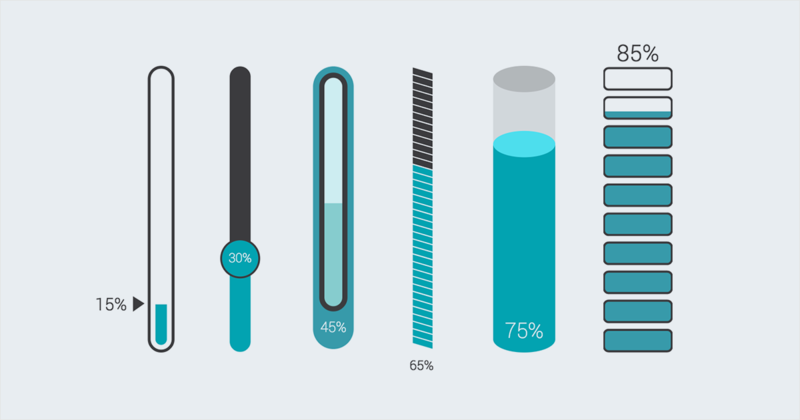 Visme offers several infograph widgets that enable users to visualize numerical amounts whether it be percentages, distance, time or space-using visual comparisons such as units of people, speedometers, timers and digital dial. Visme also offers hourglasses. Once you’ve chosen your desired data widget, you can then adjust its size. If you want to change the value or colors of your data widget, just double click it or click on the widget once and go to Setting on the top left of your screen and a window will pop up. In the settings, you can turn on/off to show or hide the percentage value. You can also manage your scale. You can change any color you like. Go to Presets tab to get colors that are already available to you or even create your colors by going to the My Palettes tab. Tip:You can modify any color in your data widget. 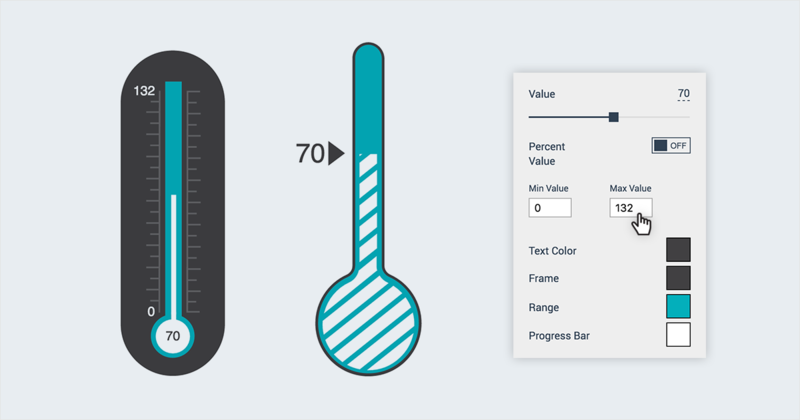 From the color of the frame to the progress bar and range. Last but not least, you can turn on/off the Show value. Click on Data from the left panel and then select Charts. 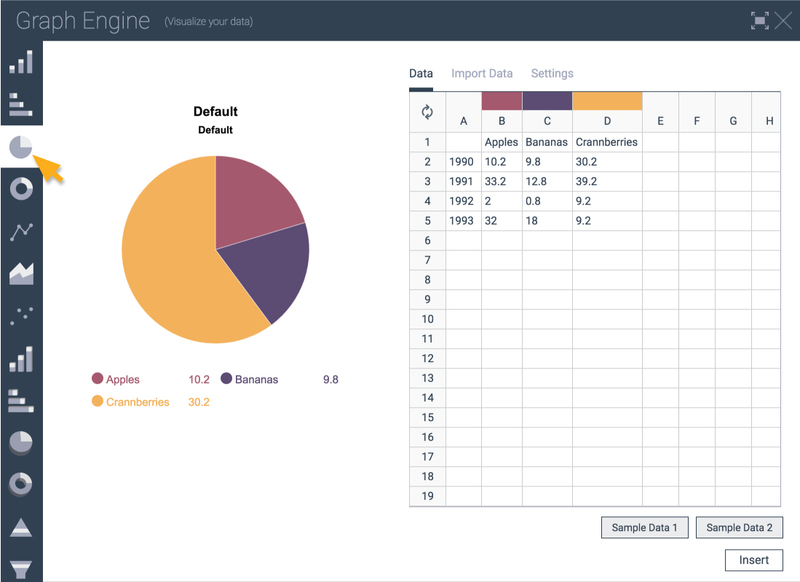 A Graph Engine window will pop-up so you could customize your data. 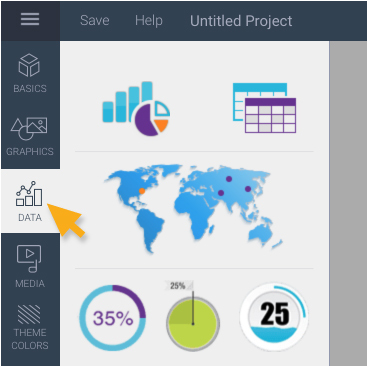 Click here for details on How to Create Charts. 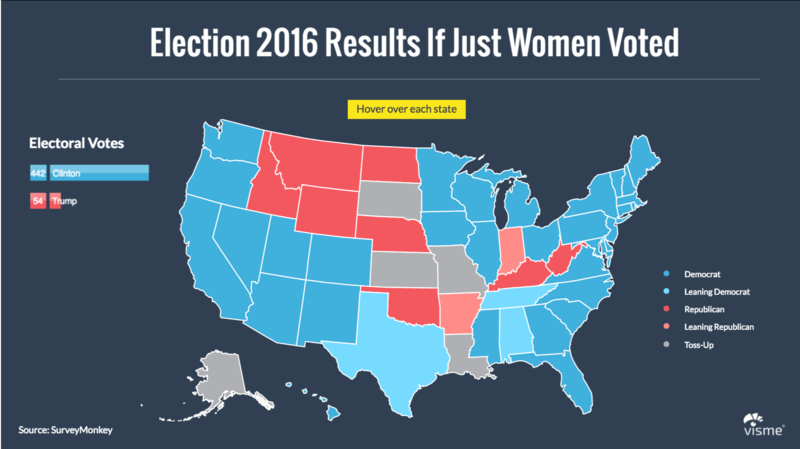 Click here for detail on How to Create an Interactive Map. Icon arrays simply refer to displays in which icons are used to represent segments of a population with differences either in shapes or colors to visualize proportions. Click here for detail on How to Create Pictograph and Arrays.